‘White Educators Must Sharpen Their Humility’ Before They Discuss Race is the headline of the final part of a three-part series in my Ed Week Teacher column. The Value of Diversity is the topic of this topic of my NY Times interactive for ELLs.interactive for ELLs. The November, 2016 issue of ASCD Educational Leadership is now online, and it’s another very good one – the them is “Disrupting Equity”! You can see all the articles here. Some are behind a paywall, but several are freely available. They’re all good, but here are the ones that seemed especially useful. 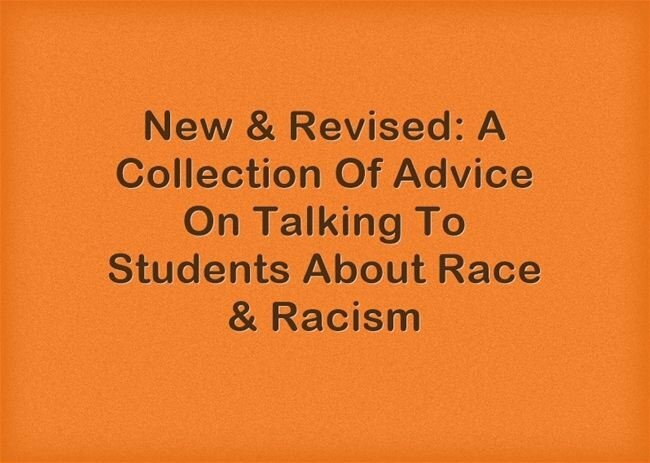 Helping Students Discuss Race Openly is by Julie Landsman. Conversation Interrupted is by Vernita Mayfield. Ten Teacher Recommendations in Facilitating Conversations About Race in the Classroom is from the Harvard Education blog. The first thing teachers should do when school starts is talk about hatred in America. Here’s help. is from The Washington Post. How to talk to your kids about the violence in Charlottesville is from The L.A. Times. After Charlottesville: Contested History and the Fight Against Bigotry is from Facing History. 10 things every white teacher should know when talking about race is by Angela Watson. 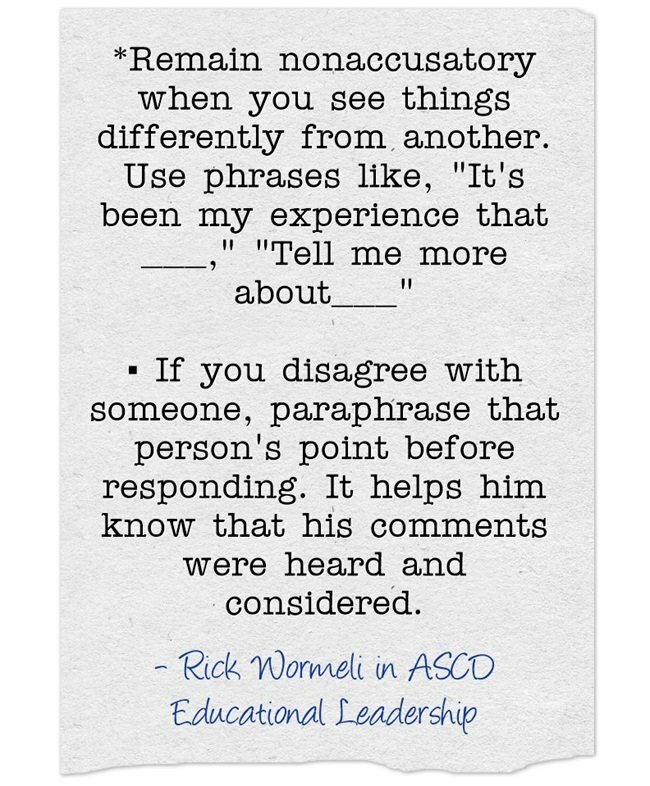 Making it Meaningful: Interrupting Biased Comments in the Classroom is from The Anti-Defamation League. They See Color… Even When You Don’t is from Urban Education Mixtape. First Encounters With Race and Racism: Teaching Ideas for Classroom Conversations is from The New York Times Learning Network. Resources for Discussing Police Violence, Race, and Racism With Students is from Ed Week. What kids need to hear about race and violence — but many schools won’t touch appeared in The Washington Post. Teaching about race, racism and police violence: Resources for educators and parents is from The Washington Post. A Syllabus for Students When Dealing with Law Enforcement is by Nate Bowling. It’s Not So Black and White: Discussing Race and Racism in the Classroom is by Dr. Beverly Tatum. Preparing to Discuss Race and Police Violence in the Classroom is from The D.C. Public Schools. The Difficult Conversations on Race is by Leo Casey. Text to Text | ‘Little Things Are Big’ and ‘Students See Many Slights as Racial ‘Microaggressions’ is from The New York Times Learning Network. How to Improve Discussion of Race in the Classroom is from The Chronicle Of Higher Education. Text to Text | ‘The Absolutely True Diary of a Part-Time Indian’ and ‘On the Reservation and Off, Schools See a Changing Tide’ is from The New York Times Learning Network. Five-Minute Film Festival: Talking About Race and Stereotypes is from Edutopia. Talking Race in the Suburbs is from Usable Knowledge. How teachers should talk to students about Trump’s racism is by Andre Perry. Teachers Can’t Ignore Racism Issues & Hope They ‘Will go Away’ is the headline of one of my Education Week Teacher columns.In it, A three-part series approaching race and racism in schools is wrapped-up by Dr. Larry J. Walker, Dr. Jaime Castellano, Dr. Mara Lee Grayson, Ashley S. Boyd, Jennifer Orr, and Kelly Wickham Hurst. Speak Up Opening a Dialogue with Youth About Racism is from Rossier Online. How to teach kids to talk about taboo topics is a TED-Talk.